It appears that service outage is not the only thing Instagramers have to worry about. A couple of days ago, Instagram users started experiencing a weird glitch which caused lines to appear on photos and stories. Affected users took to Twitter and shared samples of the photos which had irregularly spaced lines running across the photos. But the issue is not only limited to Instagram’s platform because photos and stories reposted on Facebook continued to show the lines. Some users thought that their phone’s display is having issues while others expressed that the lines appeared to be a funky filter. However, Instagram soon confirmed that the lines were appearing due to a bug and a fix was under development. 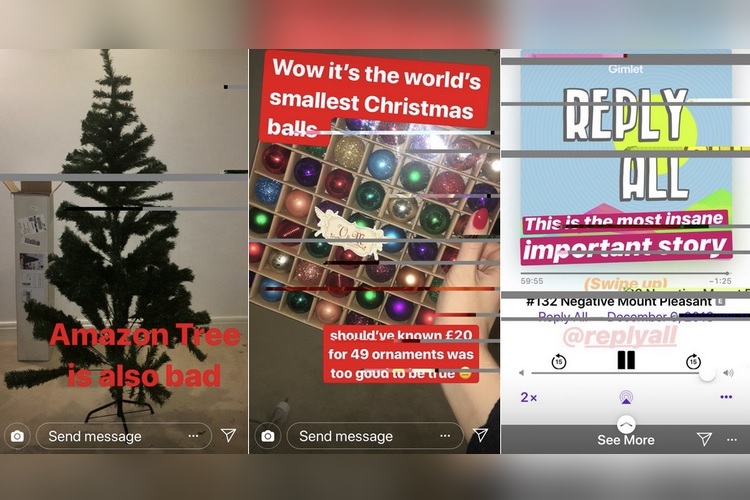 The reaction to Instagram’s weird glitch generated a mixed response from the affected users who later shared their opinion on Twitter. A majority of them were apparently not pleased by the glitch causing lines to appear on their photos and ruining their posts and stories. However, there were some users who actually liked the lines and asked Instagram to make a filter that can add such an effect to their photos, while a few others were just downright hilarious documenting the glitch. We thought it was a slick new artistic filter. However, it is not clear how widespread the issue of lines appearing on photos was. An Instagram spokesperson later told CNN Business that the glitch originated due to a bug with photo uploads and that it has now been fixed. A Facebook spokesperson also confirmed that the issue has been resolved.